I have no clue what my Chinese Astrology sign is…..but it’s probably something unflattering. It’s based on the year on which you were born. ah, I got Dog. Not too bad. I love dawgs! I just checked to make sure i remembered mine right, indeed i am a rabbit too (supprising eh?). 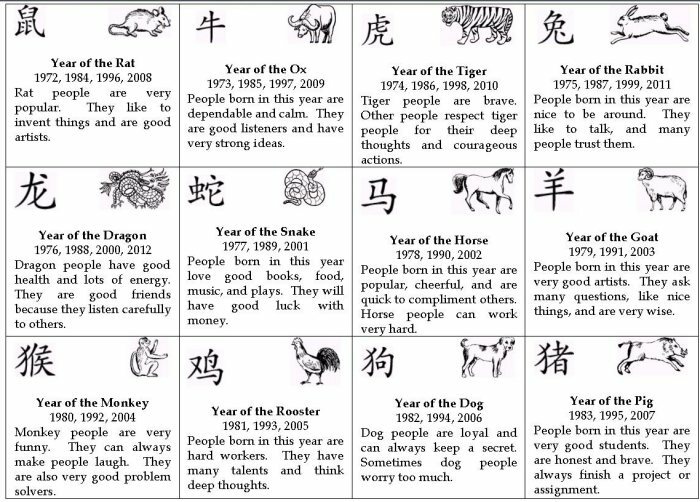 If i recall correctly, chinese astrology doesn’t have a single sign, but two. one sun sign and one moon sign, mine are both rabbit! I’m the noble steed like Donkey in Shrek.